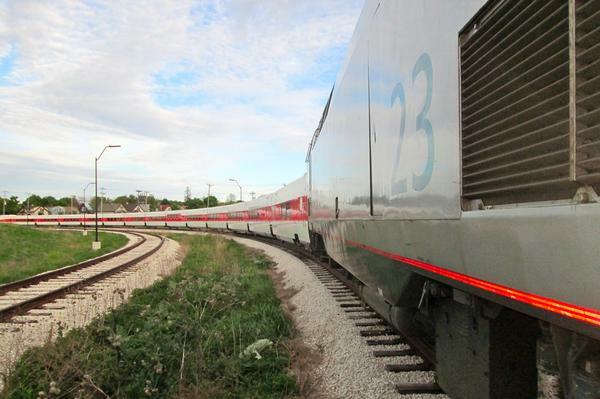 Talgo Inc. recently rolled two passenger trains out of Milwaukee and sent them to the Amtrak Beech Grove facility in Indiana to save money. The company soon will terminate its lease for a city-owned building that, in 2010, was envisioned to be the hub of Talgo’s U.S. train manufacturing and the anchor to draw more companies to the former Tower Automotive property on Milwaukee’s north side. “It is regrettable that we have to move out of Wisconsin,” said Nora Friend, Talgo Inc. vice president of public affairs and business development. The contract between the state and Talgo for those two trains remains the focus of a dispute. The state originally commissioned the trains to run on the Amtrak Hiawatha line between Milwaukee and Chicago. Talgo officials anticipate they will sue the state for damages over that contract, Friend said. Talgo is moving them to an outdoor facility in Indiana to save money on rent and personnel costs, Friend said. Talgo is trying to sell the trains and is in discussion with several states, she said.